Last week at Gen Con, W Eric Martin from BoardgameNews and BoardGameGeekTV had a chat with my wonderful publisher Frank DiLorenzo from R&R Games about our upcoming Essen release, ROME: CITY OF MARBLE. He’s right, that is a glorious cover. 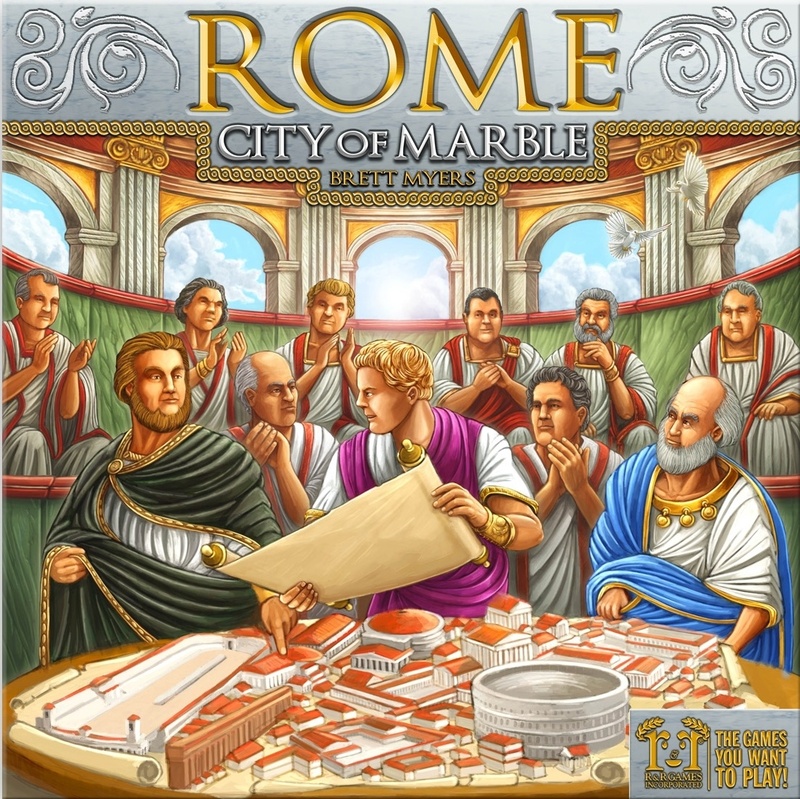 You can find more coverage of ROME: CITY OF MARBLE in the BoardGameGeek News Spiel 2015 Preview, here. 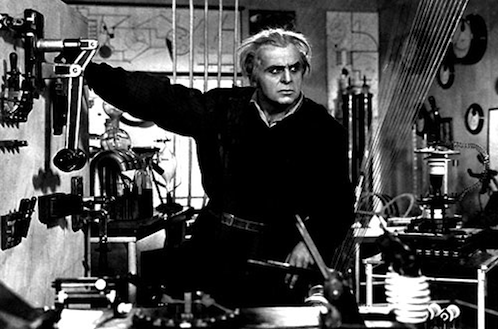 A very Felix Dies Natalis to me! 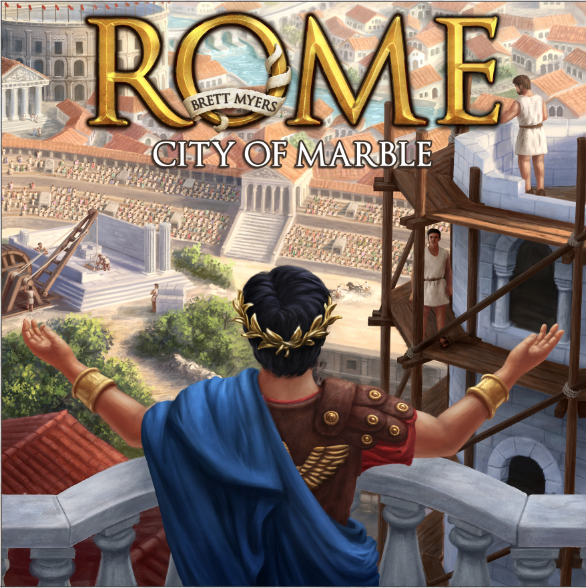 I got a look at the final box cover art for ROME: CITY OF MARBLE! That pose is exactly how I feel right now: Behold! Rome in all her glory!